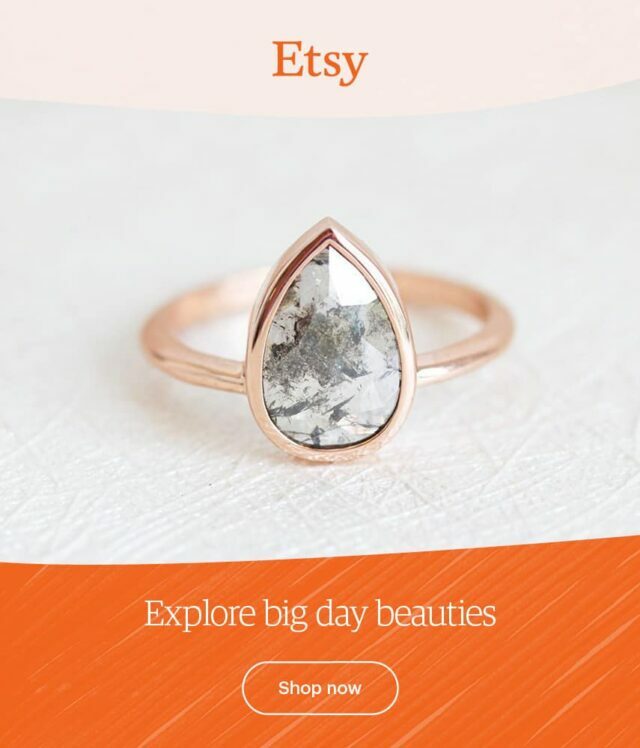 Words by Kristy Kyi / Images by Lucas & Co. 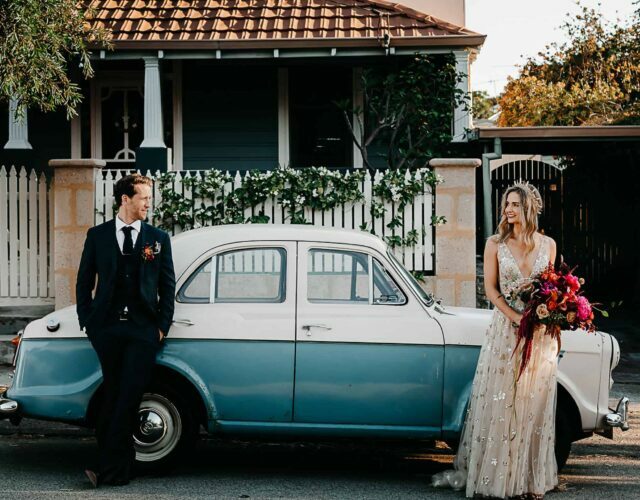 When Belle rocked up for her first day of work and locked eyes with Chris, she knew he was something special. 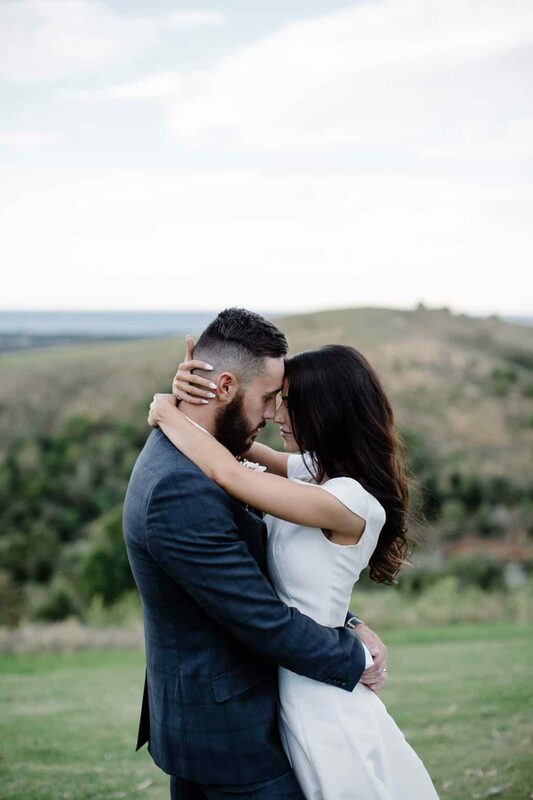 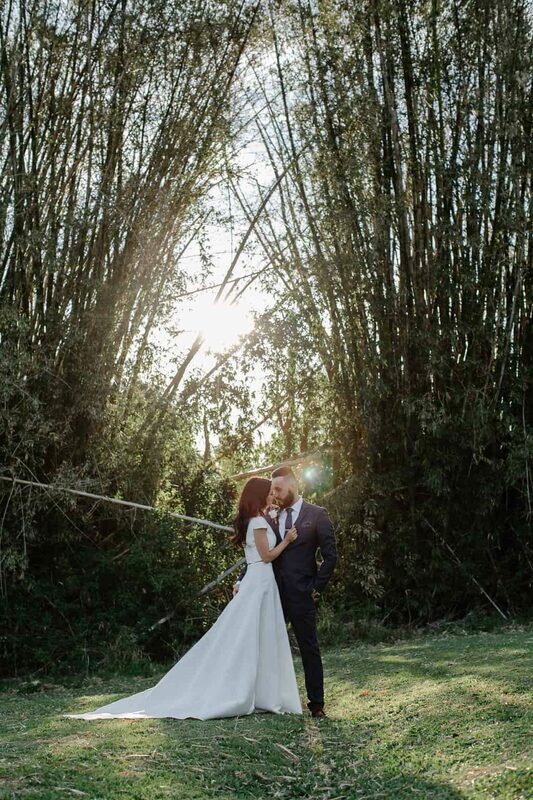 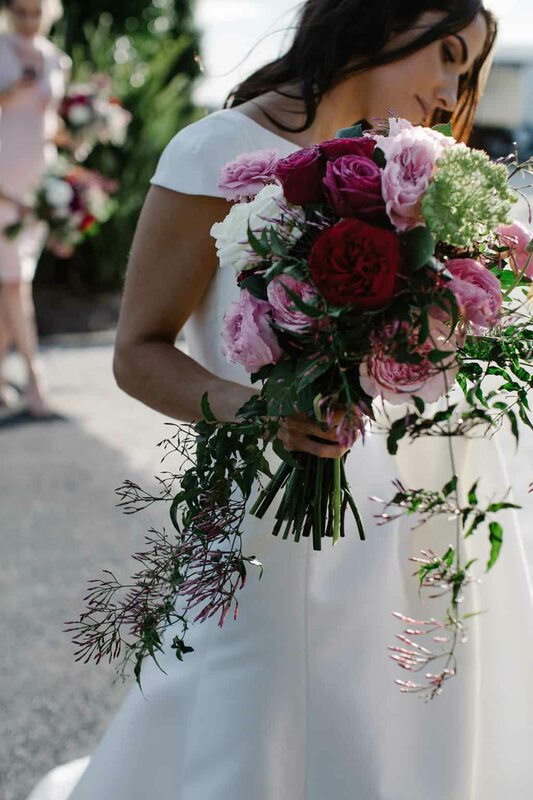 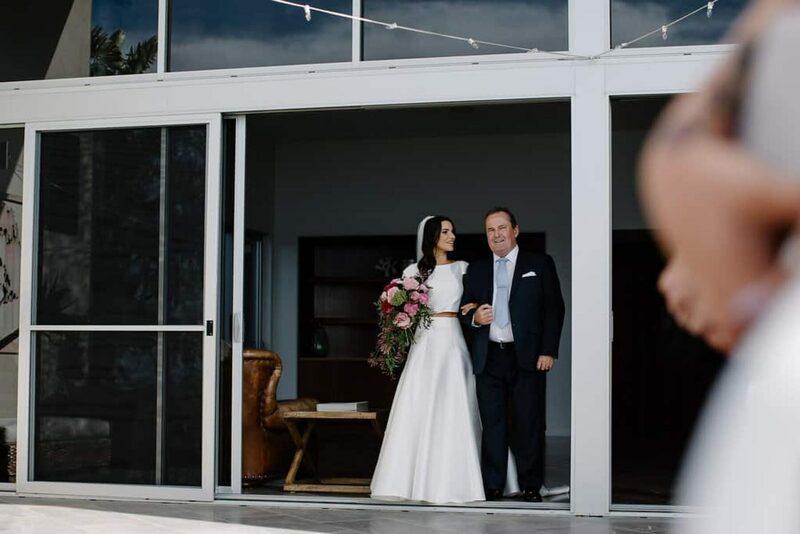 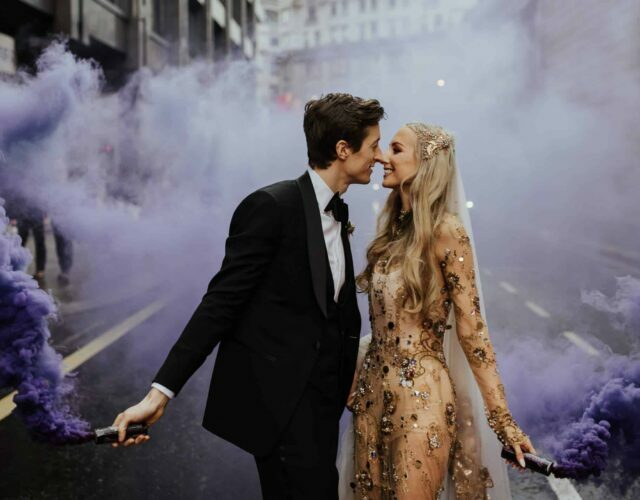 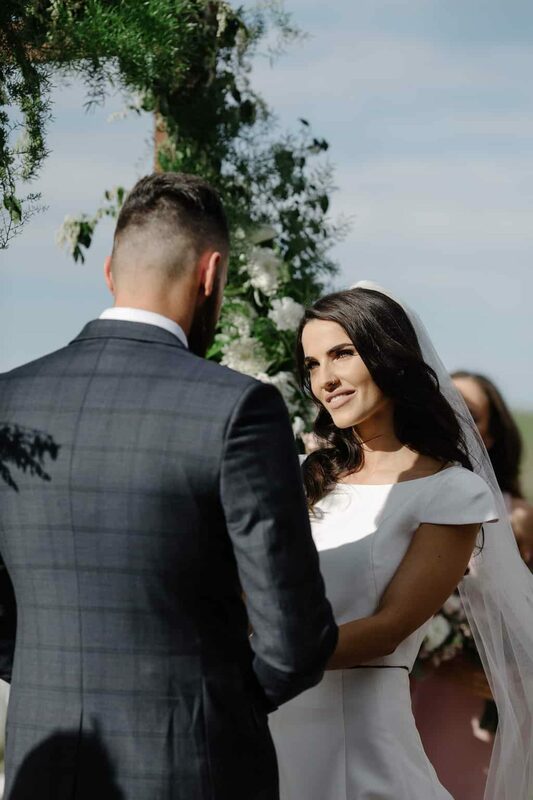 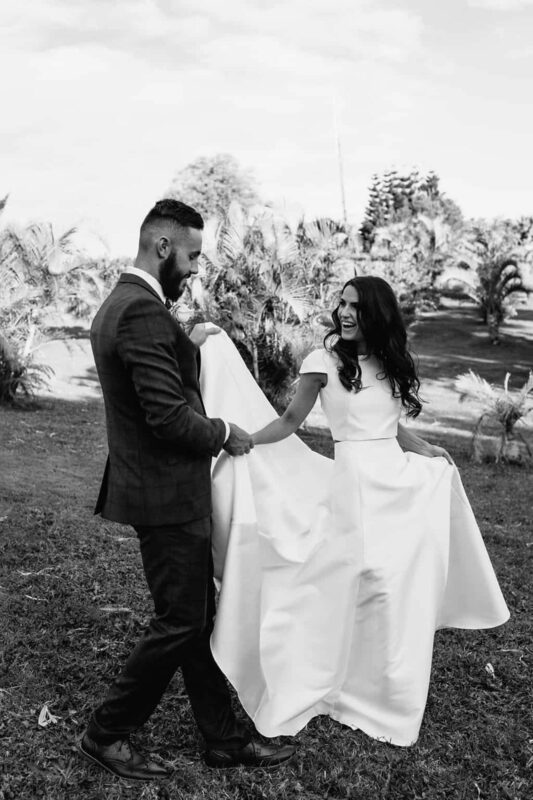 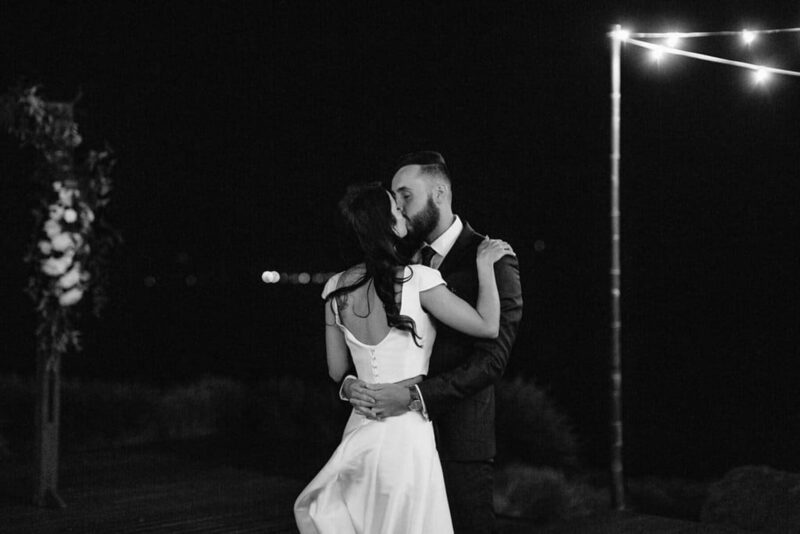 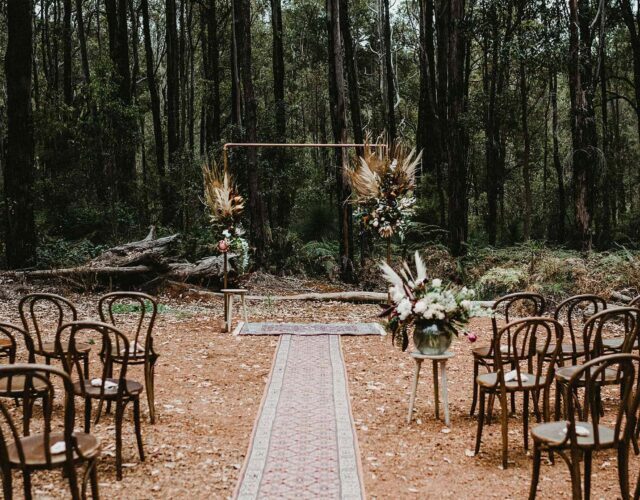 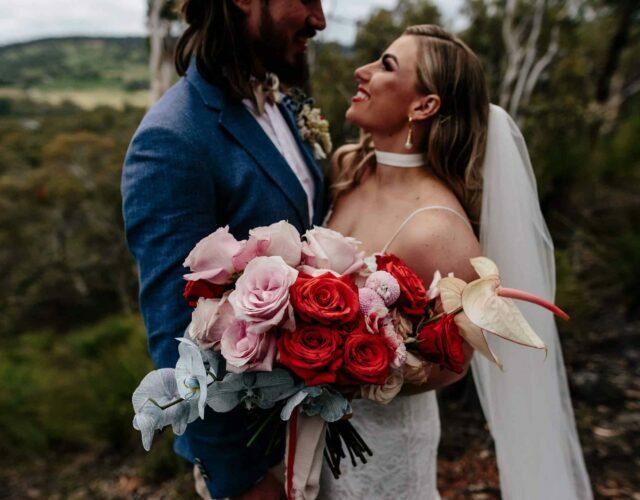 It took her 3 months to build the courage to say hello but just 4 years later they were saying “I do” in the Byron Bay hinterland, with Lucas & Co on hand to capture it all. 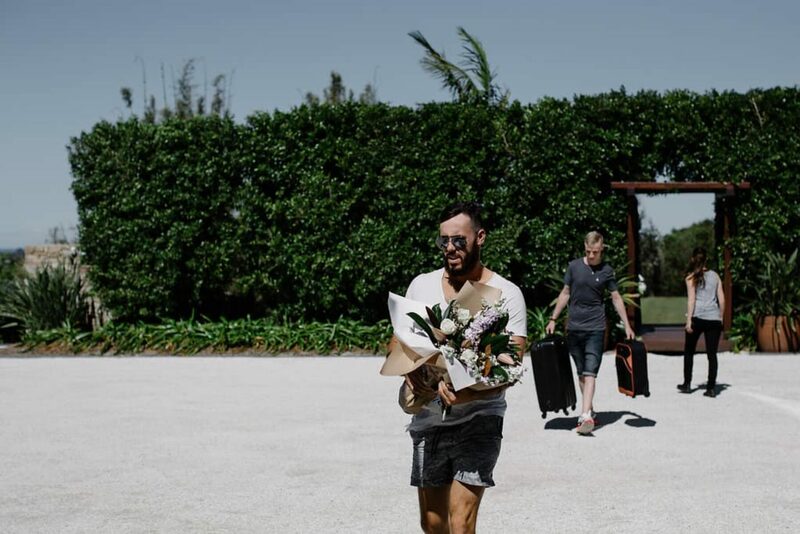 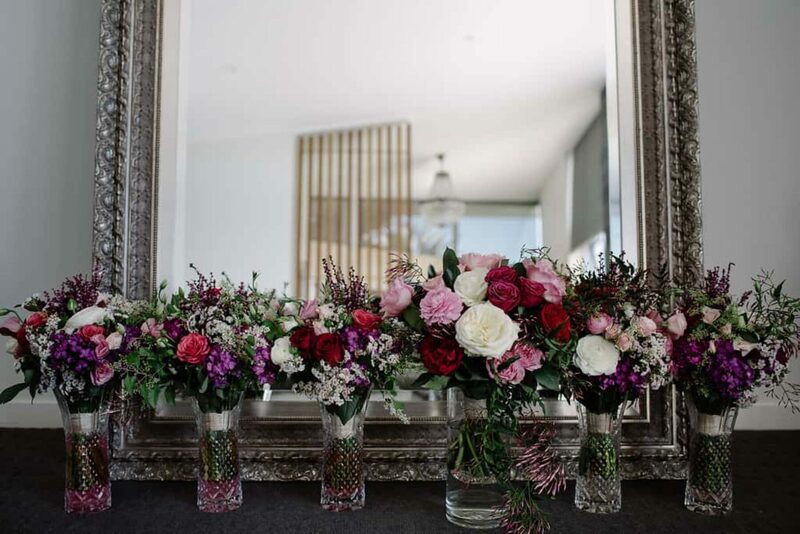 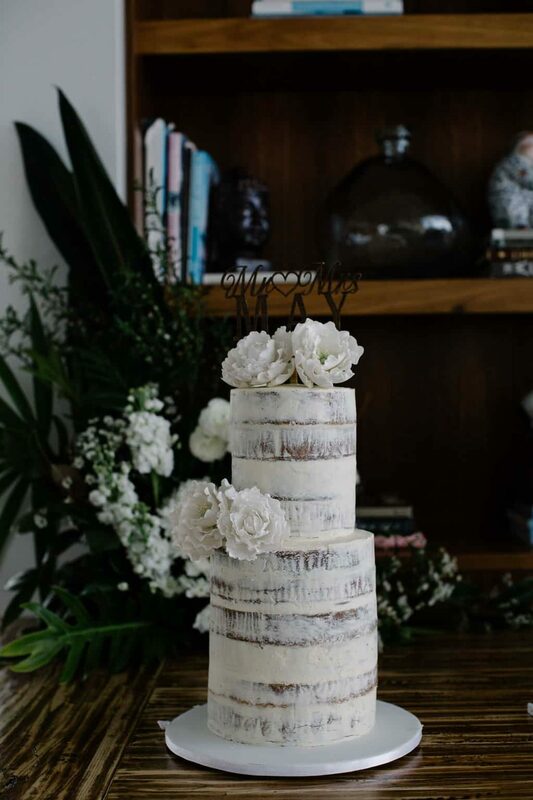 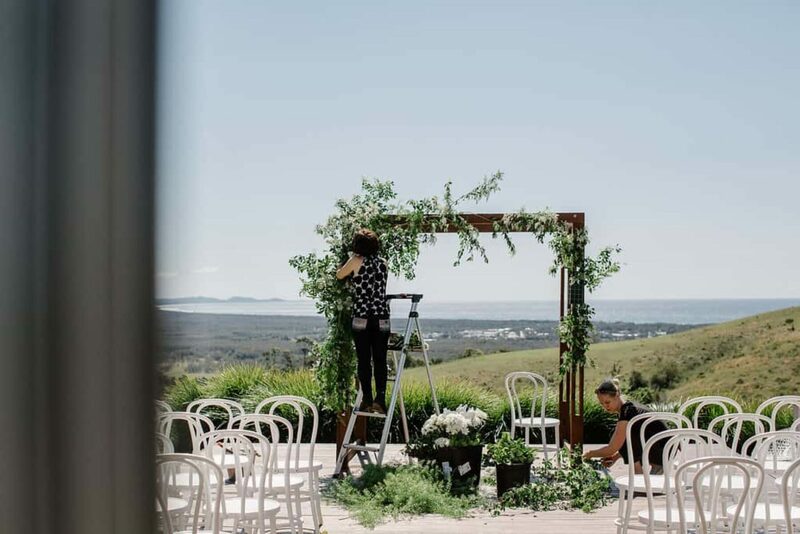 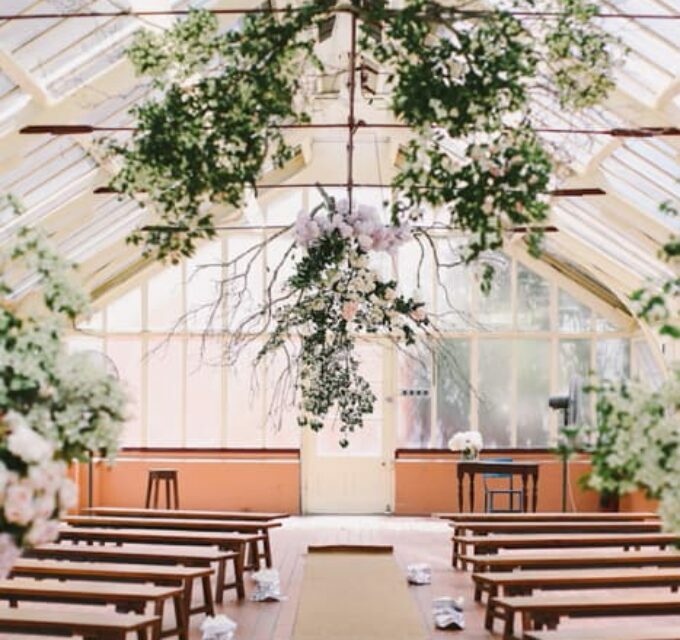 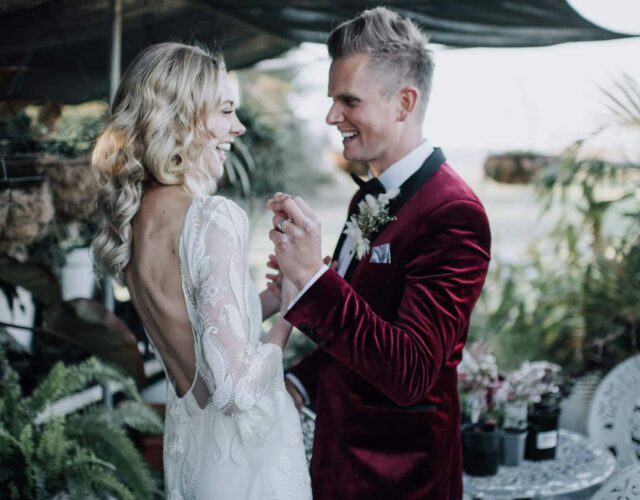 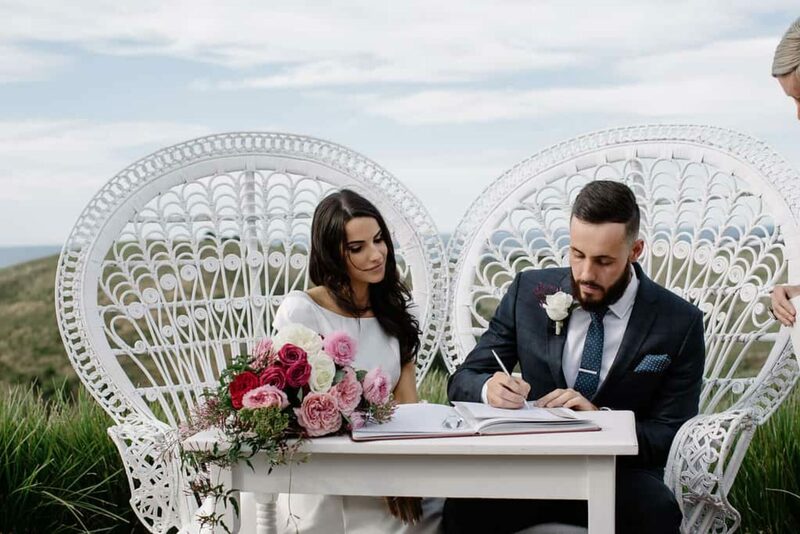 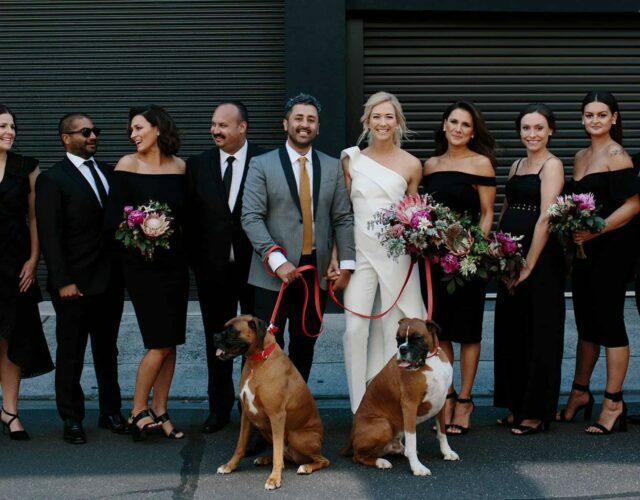 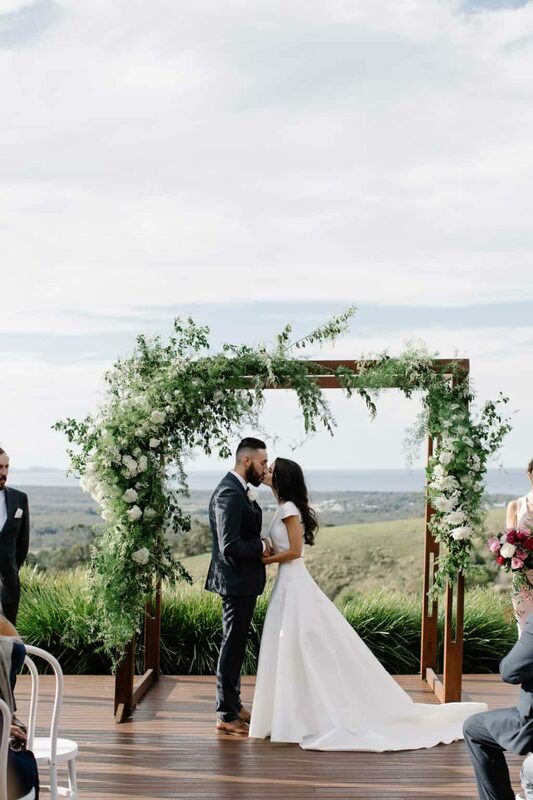 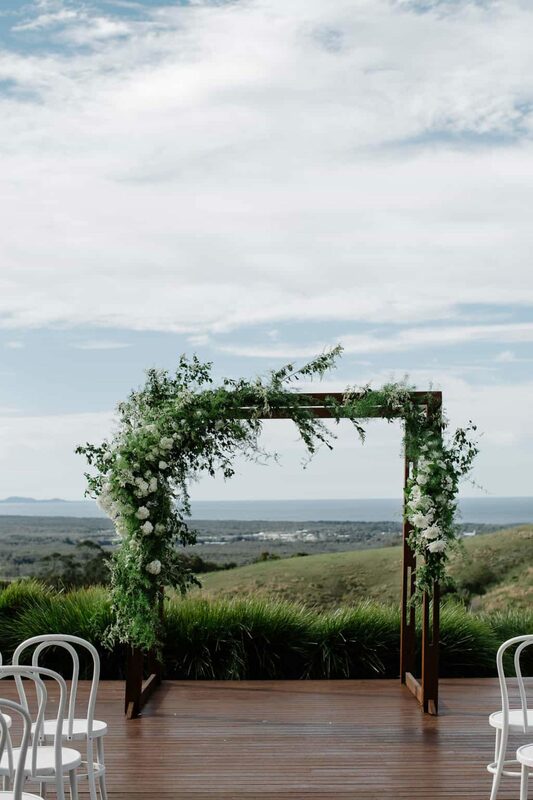 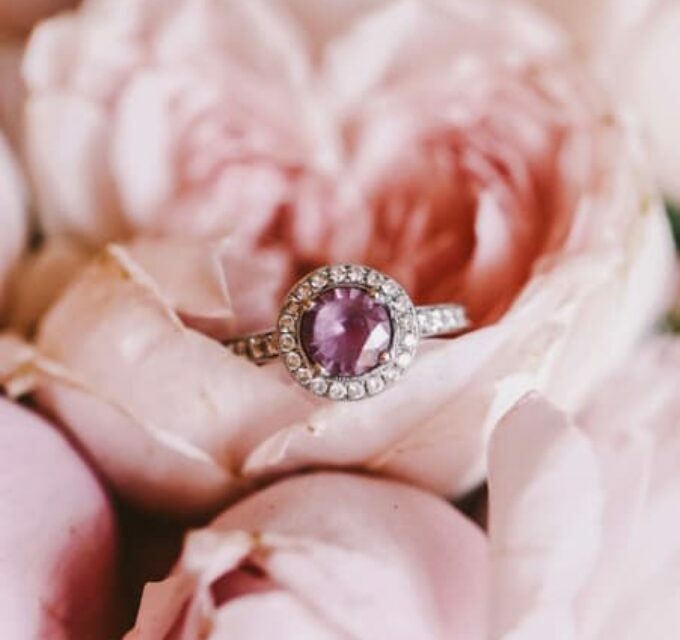 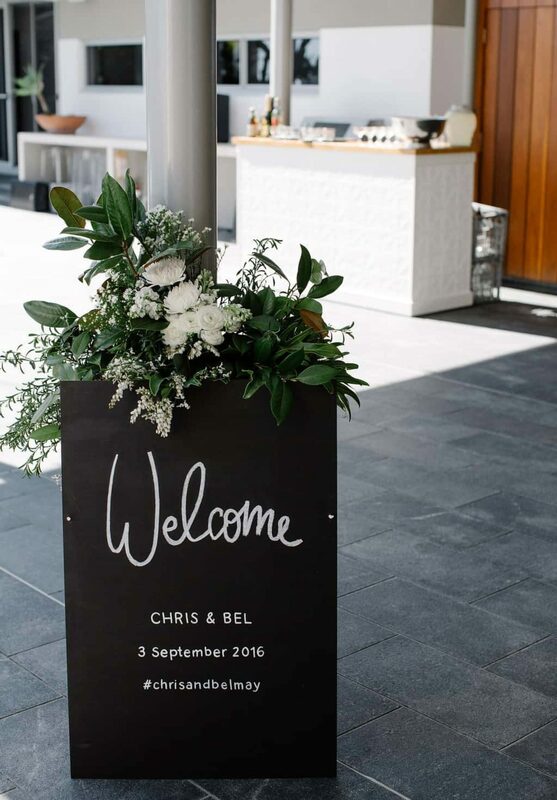 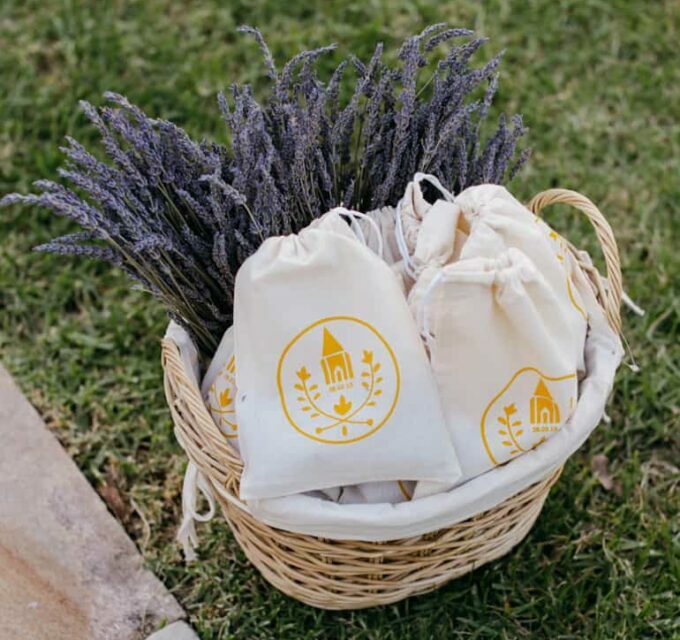 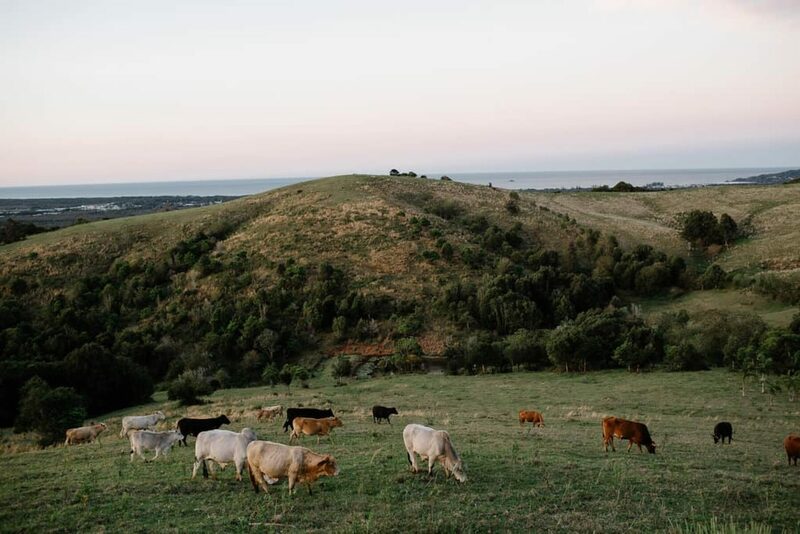 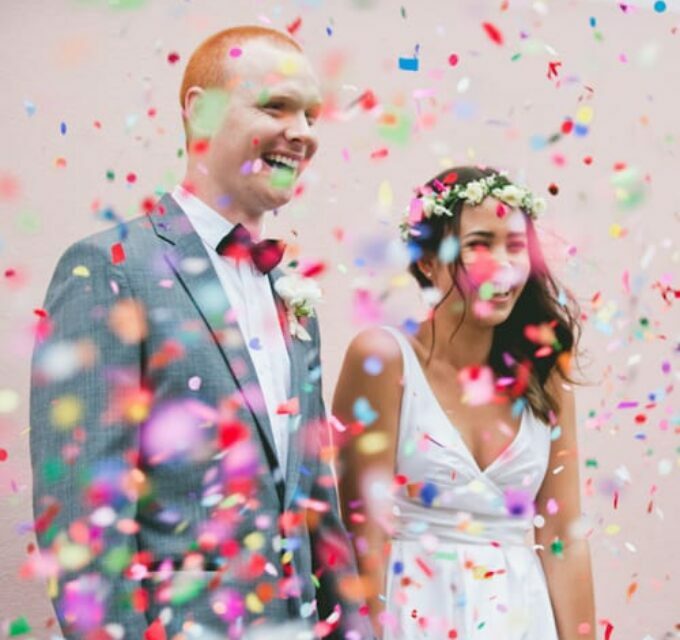 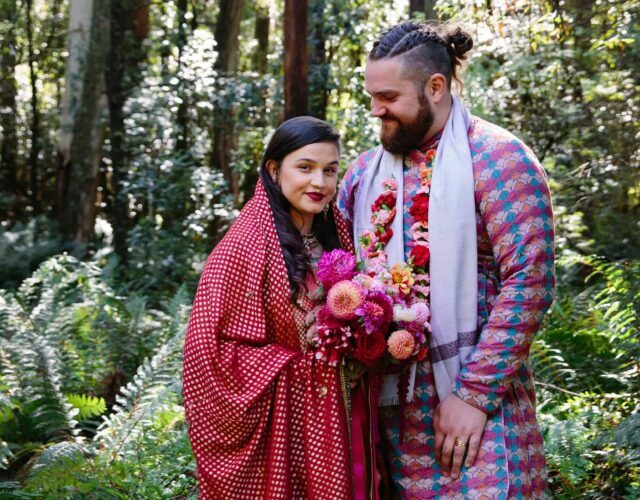 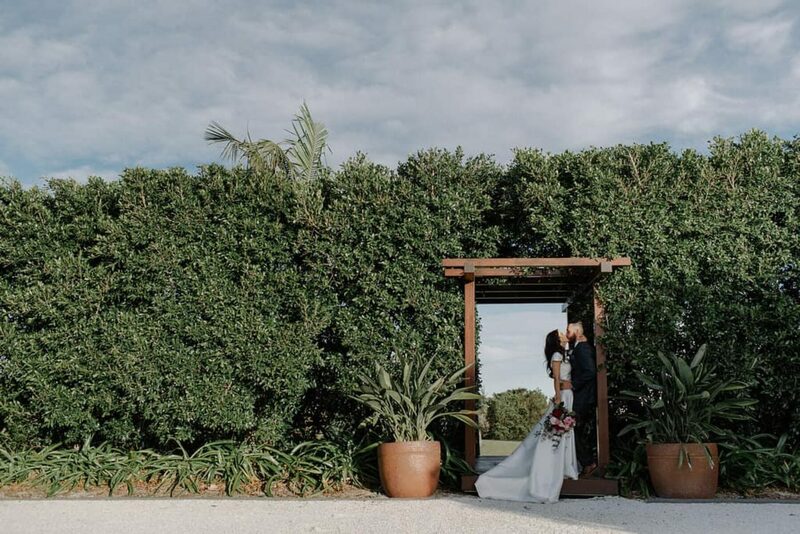 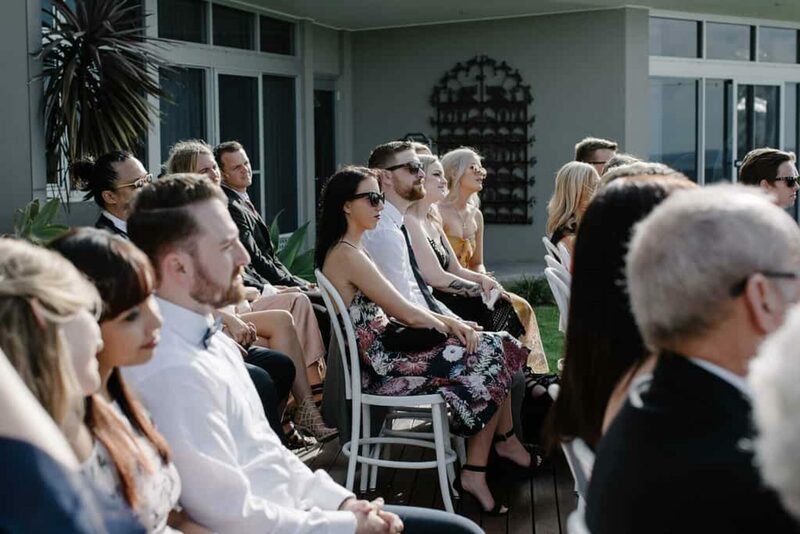 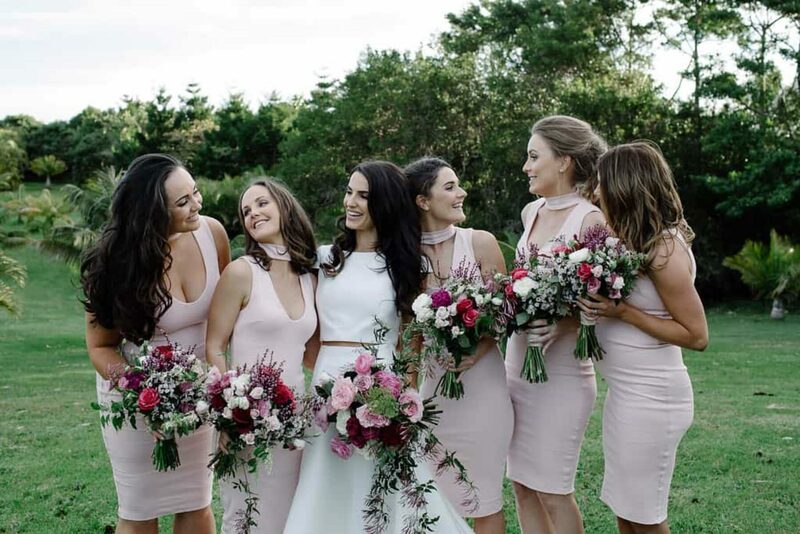 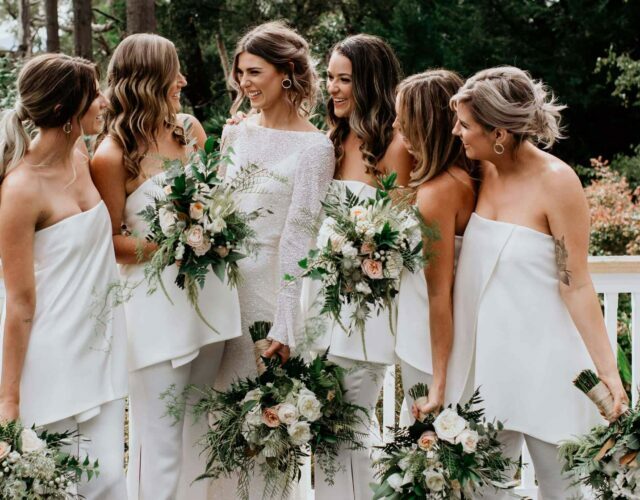 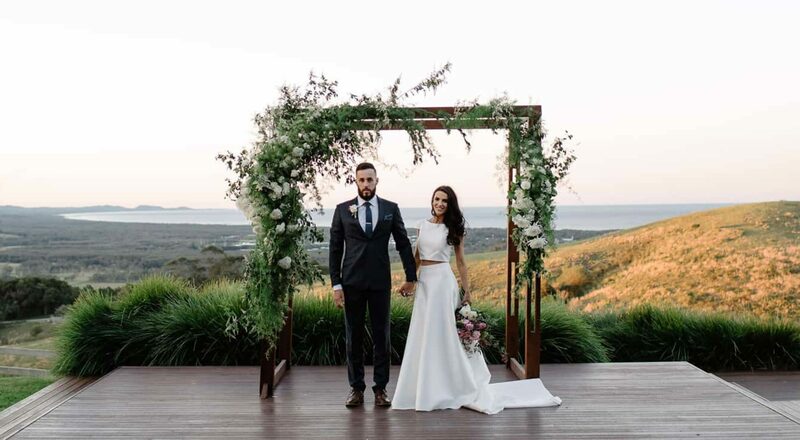 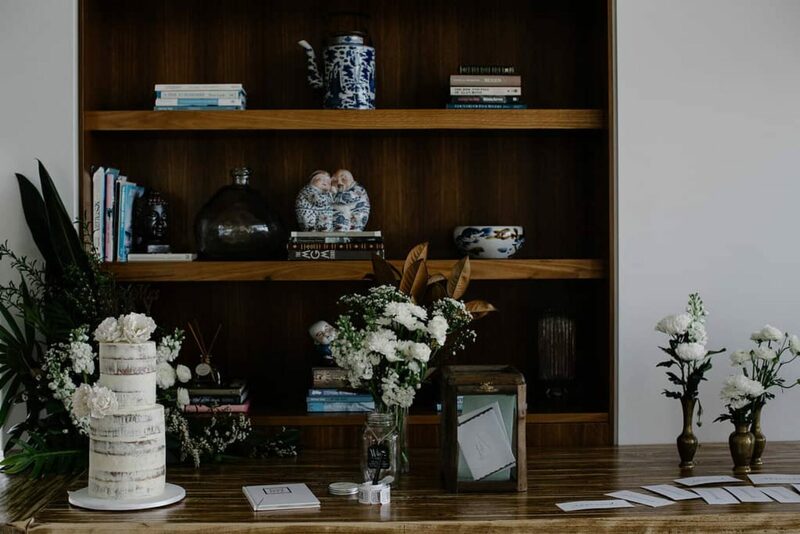 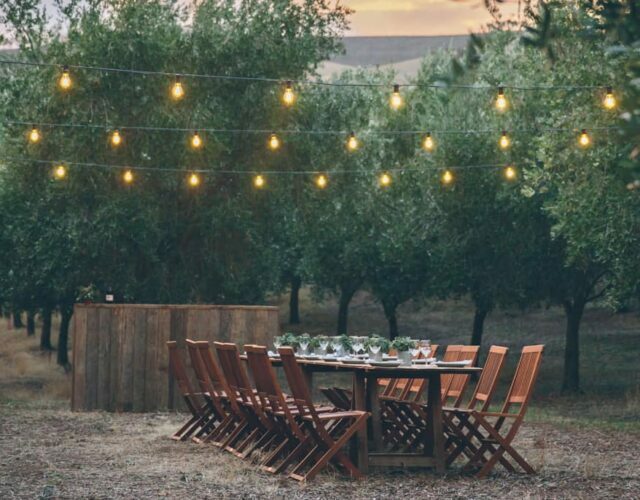 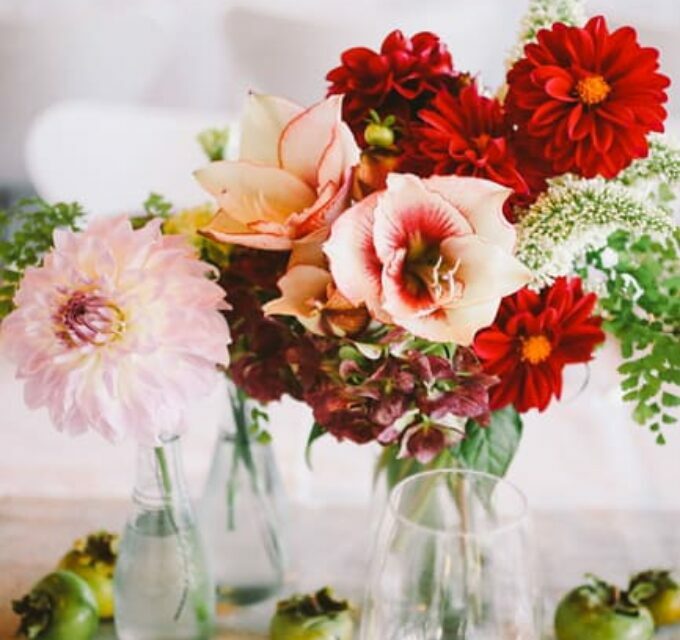 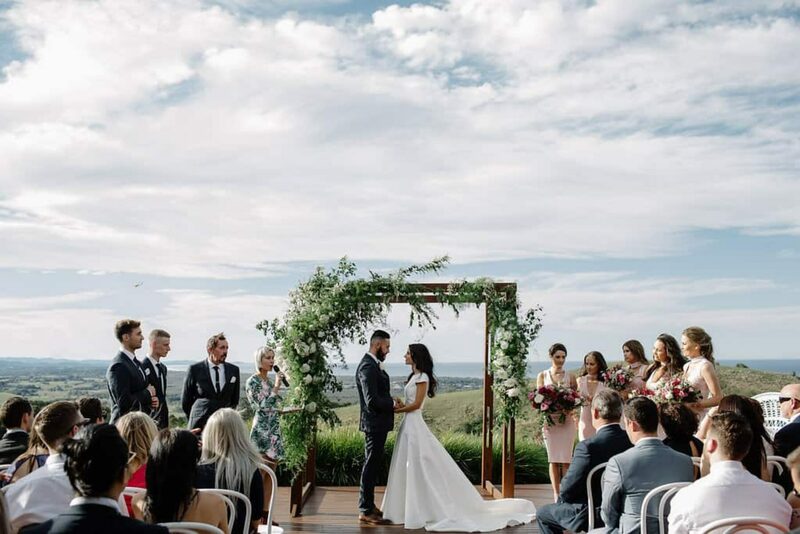 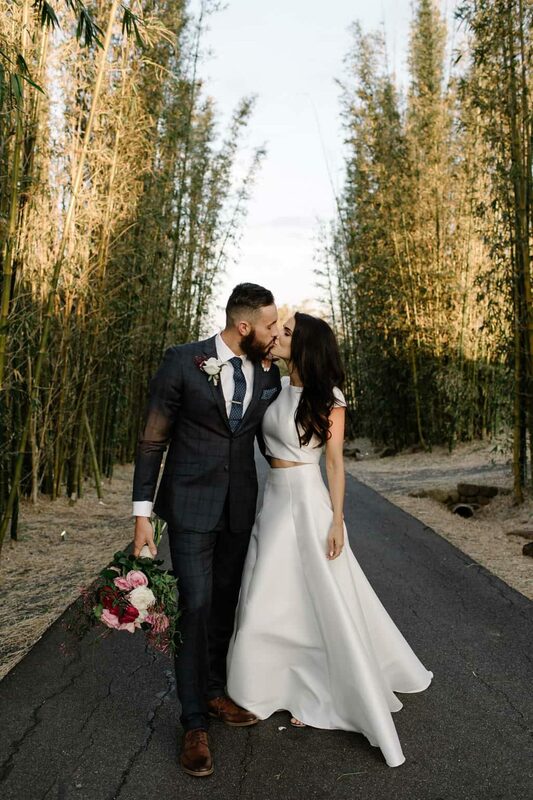 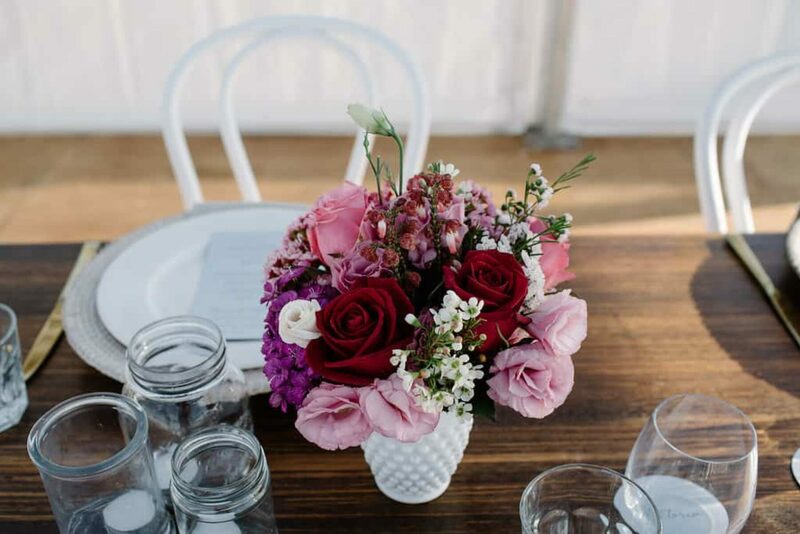 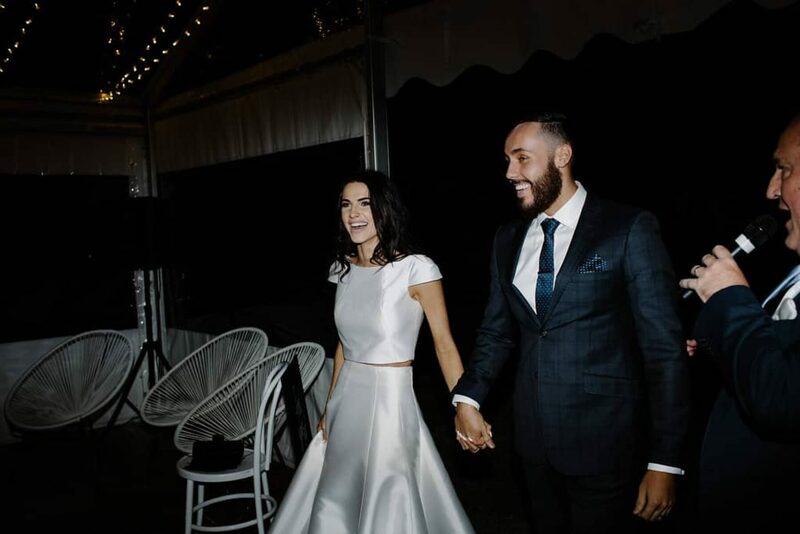 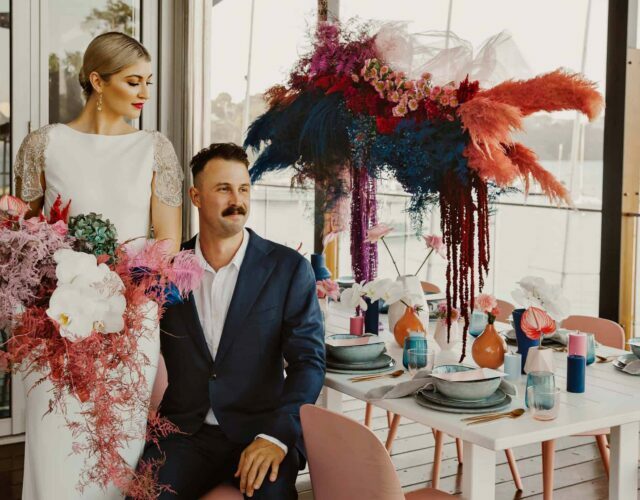 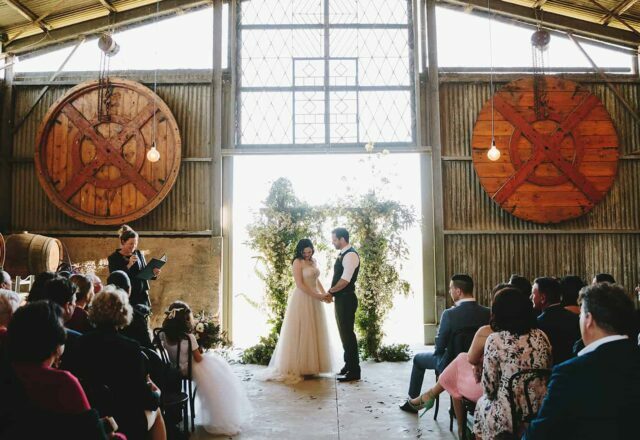 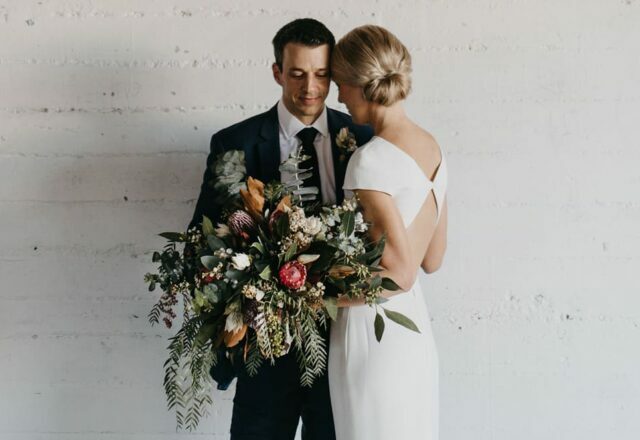 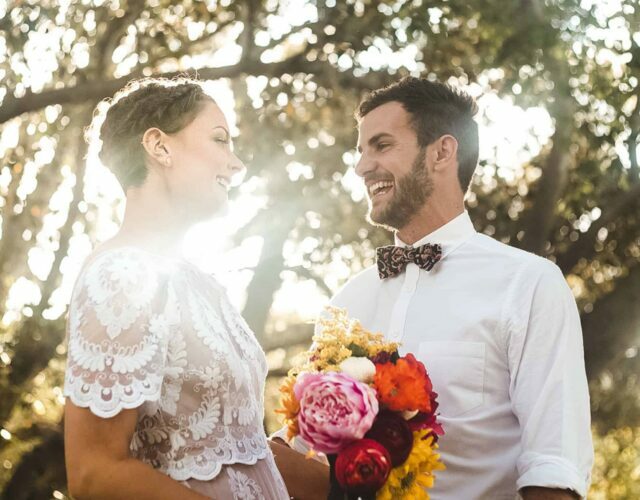 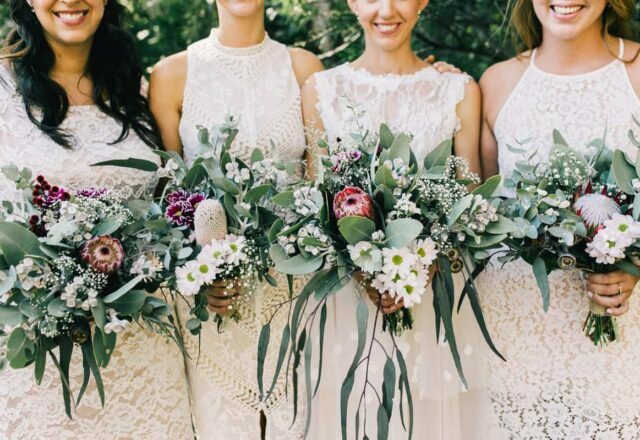 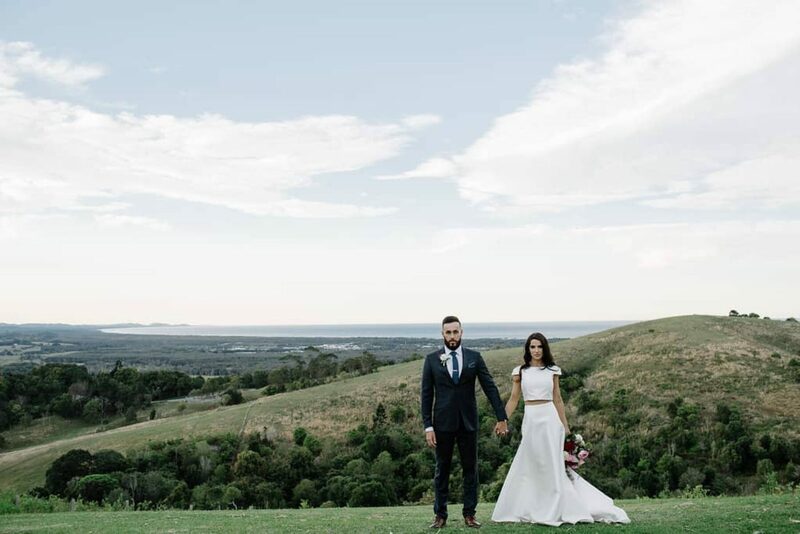 The couple enlisted the services of Byron Bay Weddings to help realise the vision they had for a relaxed but romantic celebration. 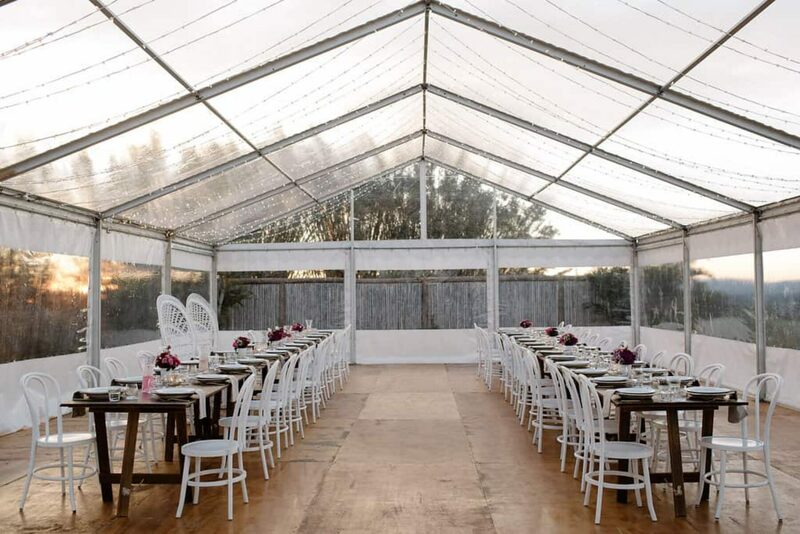 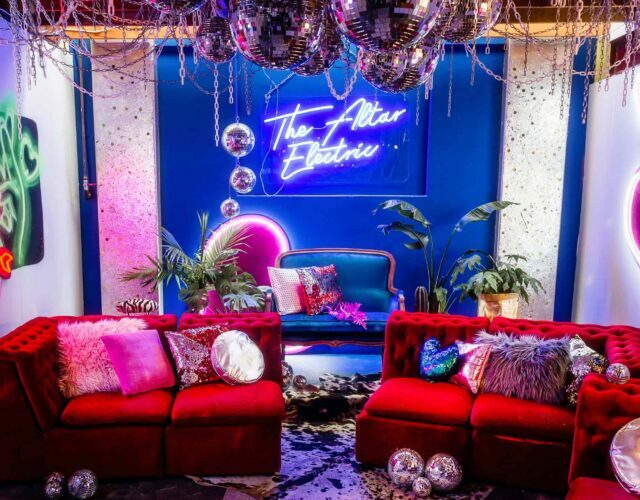 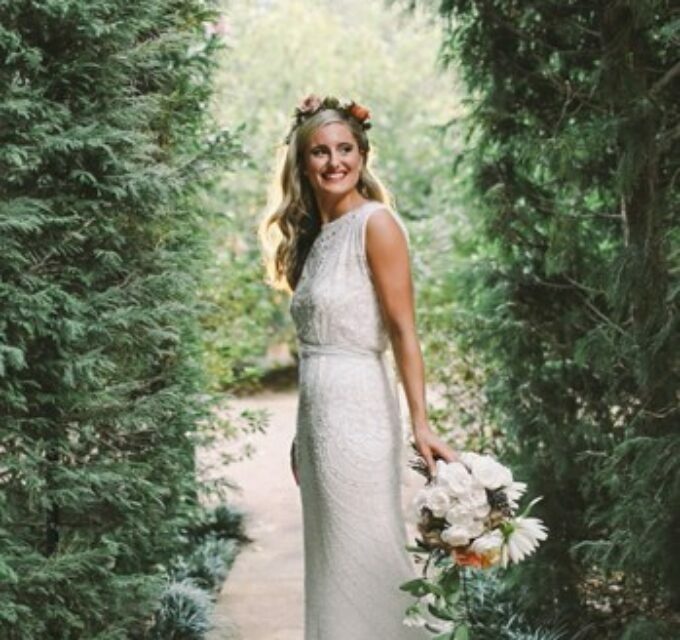 Belle says, “Emily directed us to vendors who were our style and within our budget which made the whole process so enjoyable and fun. 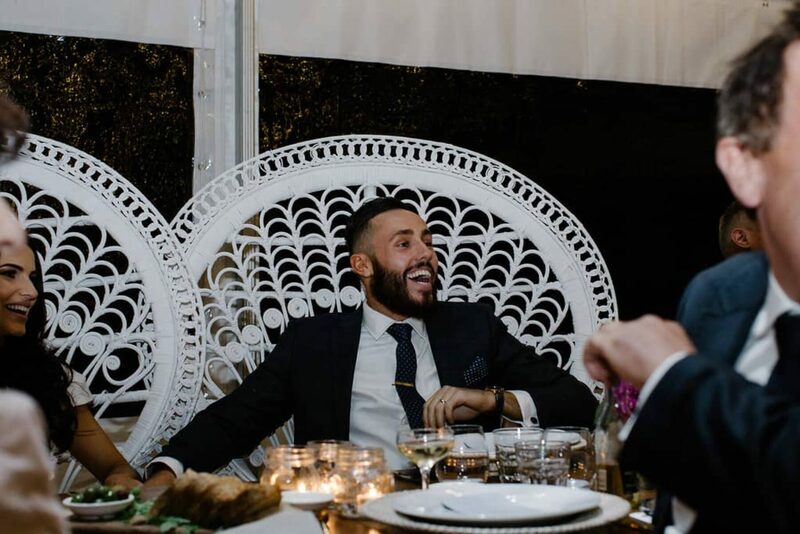 There was no stress! 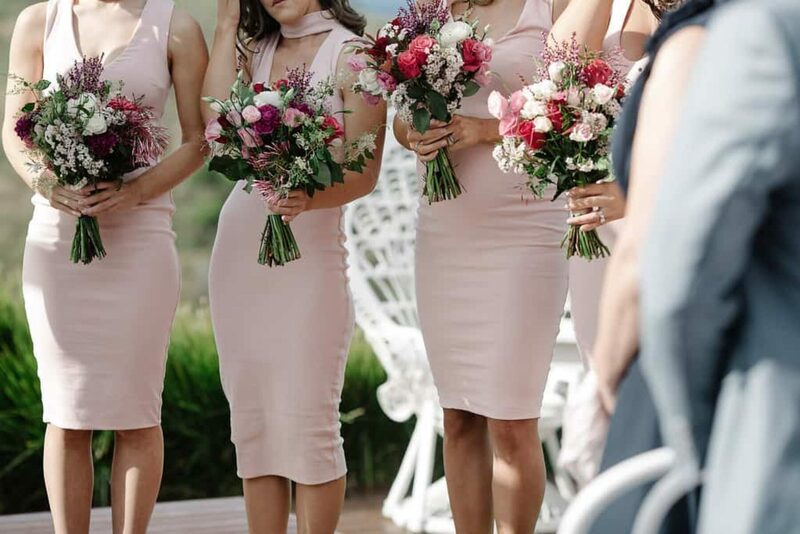 Initially Belle wanted a fitted lace dress but once she started trying gowns on she realised how important it was to choose something that was her – “simple, classic, but different from the trends.” The Mabel two piece by Karen Willis Holmes fit the bill perfectly with its elegant, modern design. 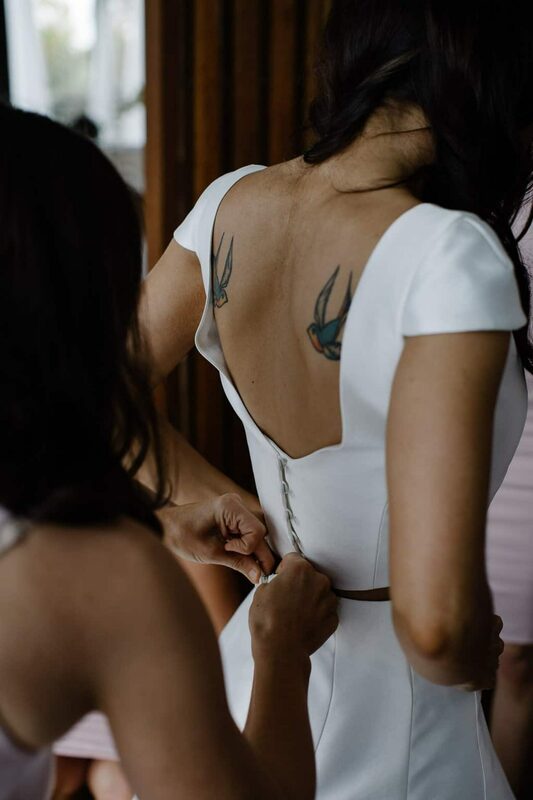 “I couldn’t wait for Chris to see me in it,” she says. 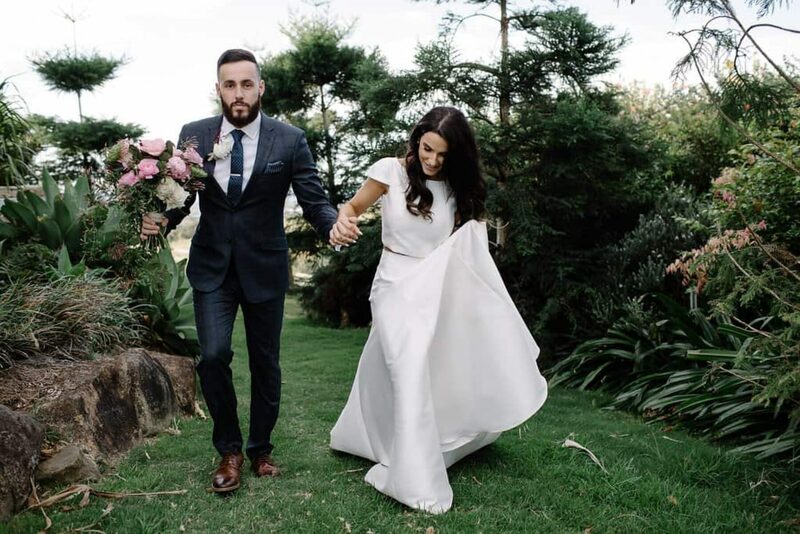 Something of a suit specialist, Chris was always going to look schmick for his big day. 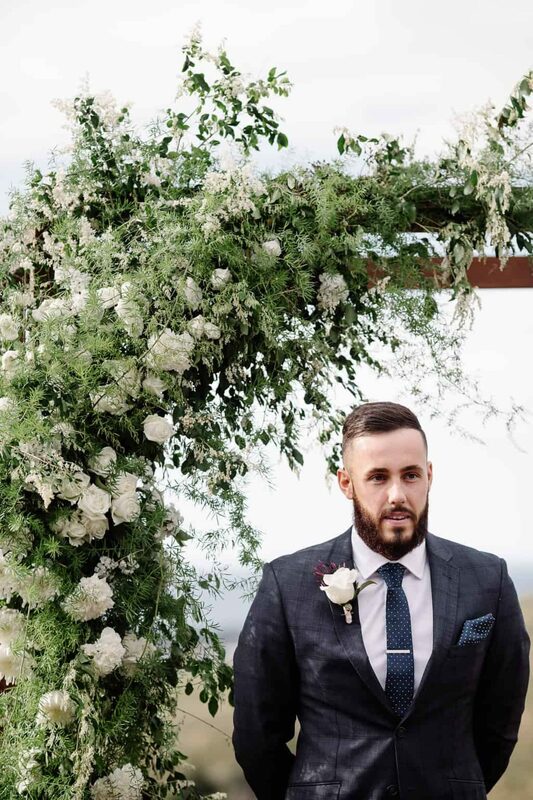 He chose a Wolf Kanat suit with a subtle checked design, teaming it up with Tiffany & Co cufflinks and a Hugo Boss watch. 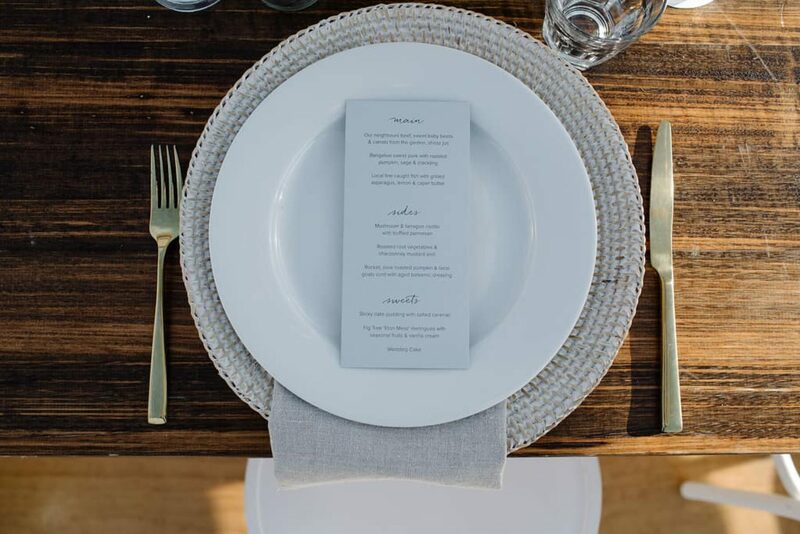 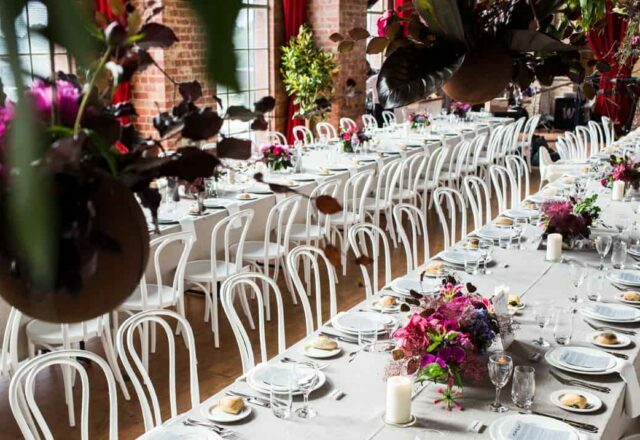 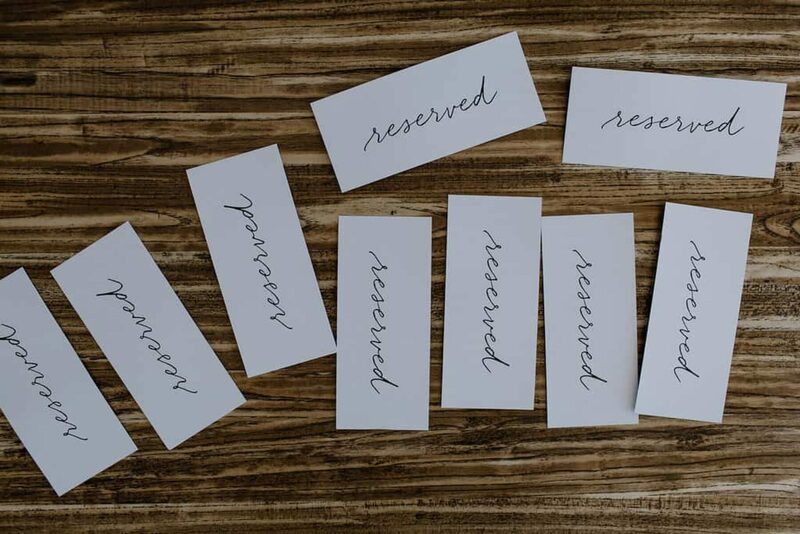 The bride’s talented sister, Vanessa Macphail, created the stationery and signage for the day, including these typographic menus which sat atop cane charger plates and textured grey linen to create a classic meets boho look for the reception.